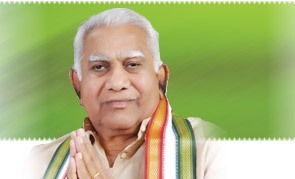 Kullu: Congress senior leader, Rajya sabha MP Palvai Govardhan Reddy dies of cardiac arrest. He is in Kullu, went to attend standing committee meeting. Telangana CM Chandrasekar Rao payed homage to Palvai. He spoke to Medak MP Prabhakar Reddy who is also in Kullu. Palvai Govardhan Reddy born in the year 1936 in Nadimpally village. He completed B.A at Vivekavardhin College, Osmania University, Hyderabad. He was member of Andhra Pradesh Legislative Assembly for 5 times.